Stay warm this half term and head to the Smile Cafe at The Mile Farm Shop in Pocklington. They will be running Paint a Pot in the cafe across the week, no booking necessary just drop in. 2 options available – pots to paint that are fired and ready for collection a few days later, or paint in acrylics available to take away on the day. 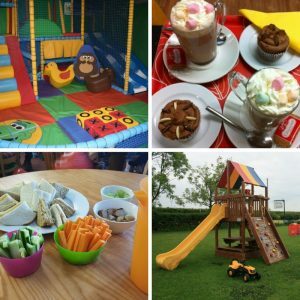 Also for younger children under five, there’s a lovely indoor soft play area within the cafe with double slide, mats and building toys, plus an outdoor play area with climbing frame, swings and ride-on toys. There is also a quieter seating area in the farm shop for older children and families. Check out the new cafe menu too!